The building of over thirty new gas power stations has been given the nod by Chancellor George Osborne. The new ones are set to replace aging coal, nuclear and other gas stations and could help to produce around 26 gigawatts (GW) of electricity by 2030 - a net increase of around 5GW. However, environmental groups will be concerned over the perceived lack of action in regards to carbon emissions. Energy Minister, Ed Davey, announced the Government's new gas generation strategy in a statement which said: "Gas will provide a cleaner source of energy than coal, and will ensure we can keep the lights on as increasing amounts of wind and nuclear come online through the 2020s." Mr Davey said the policy was: "consistent with significantly reducing emissions from the power sector in order to meet Carbon Budgets." 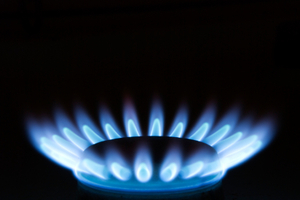 In 2011 alone, gas accounted for about 40% of UK electricity production. A figure which could increase to around 50% with the new capacity and with many UK energy companies, such as EDF, part of the Warm Home Discount Scheme, continuing to use it. In fact, a planned EDF gas-fired power station at West Burton, was the site of a protest by environmental activists only last month. Those activists were protesting over what has been called by some, the "dash for gas". The confirmation of further gas power stations will leave other environmental groups dismayed as they had hoped the Government would place further emphasis on lower-carbon, renewable energy sources. Research from think tank Cambridge Economics even suggested that the UK economy would be almost Â£20bn better off if a switch was made to windpower by 2030 as opposed to the development of new gas stations. Committee on Climate Change chief executive, David Kennedy, said: "Early decarbonisation of the power sector should be plan A - and the dash for gas Plan Z." Instead he wanted further: "investment in a portfolio of low-carbon technologies, rather than a dash for gas which would raise long-term costs and risks."